Last night at midnight the Senate President, Mike Miller and Speaker Pro Tem, Adrienne Jones announced in Latin, ‘sine die’ and the balloons fell bringing to a close the 90-day session of the Maryland General Assembly. The phrase ‘sine die’ means “without setting a date for future action” or as Mark Twain would say, your life, liberty and happiness are safe for another 270 or so days. As a Profession, we did well thanks to the major work of over 200 volunteers who swarmed the capital on January 24th for CPA Day. The celebration was dampened by the passing of Speaker Michael Busch on Sunday. There were numerous tributes to the longest serving Speaker in Maryland history and a man affectionately called ‘coach’ and former teacher. Pictured below is the last time the Speaker visited us at CPA Day, January 29, 2015. “I’m writing to let you know that I am devastated to hear about Mike Busch’s death this afternoon. Mike always supported the association and its members when legislation that was necessary to move the profession in Maryland forward. I can still remember one of the first times I worked closely with him was when we introduced the first required CPA CPE continuing education bill. Mike was always a sincere legislator who studied our needs and worked with us to help pass the legislation we needed. He recognized our professionals for their dedication and need for approving legislation that would move our licensed professionals forward. It has been many years since I worked with Mike, but I will never forget his outstanding leadership and recognition of legislation needed for the accounting profession in Maryland. We agree, Barbara and will miss him a lot, RIP Mr. Speaker. My biggest highlight was the unanimous passing of our CPA Firm License Mobility (HB 1081 & SB 513). The House bill was sponsored by Delegate Lorig Charkoudrian freshman legislator from District 20 in Montgomery County. 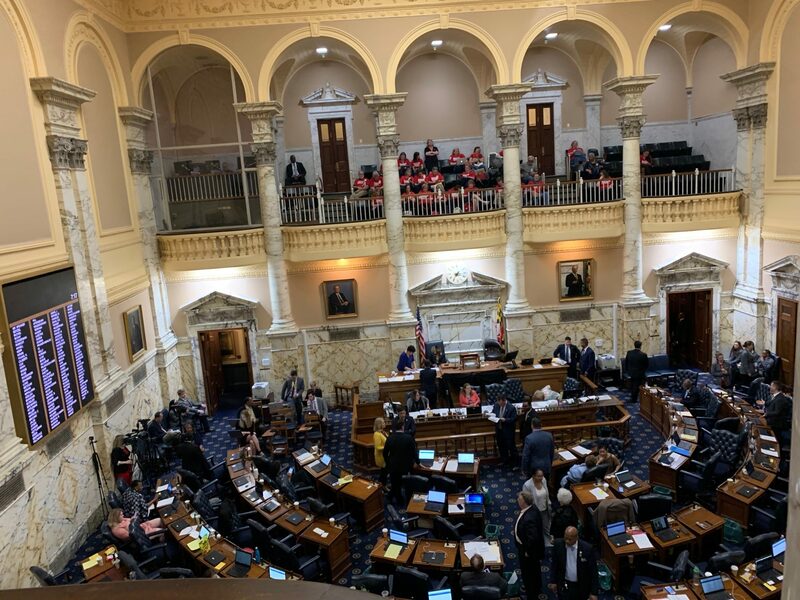 The Senate bill was sponsored by MACPA member, Senator Arthur Ellis freshman legislator from District 28 in Charles County (inspired to run for office by our Chair, Samantha Bowling! Worth noting was the sponsors who signed onto these bills including friends Senator Brian Feldman. CPA (and MACPA Member) and Delegate Kathleen Dumais, majority leader in the House of Delegates among others (20 in all). Pass CPA firm license mobility: This also helps minimize deregulatory risk. – DONE! Stop sales taxes on professional services – No Bill – DONE! Minimize the impact of complex tax issues (i.e. the Tax Cuts and Jobs Act / Wayfair) – minimal Bills. Stop liability risk: Comparative fault – No Bill (approximately 13 other related bills) – DONE! Stop state deregulatory risk: State Board and CPA license – No Bill – DONE! Stop onerous employment issues and laws. Not to rest on our laurels for too long, we are already preparing for next year! Right now we are working in comments to the US DOL latest Overtime Rule Regulations and an update to our State CPA regulations for Continuous CPA Exam testing and the CPA License Evolution project. Save the date for CPA Day in Annapolis on January 23, 2020 in the Governor Calvert House – register here.